The Ministry’s own non-compliance resulted in historic and current errors in payments and entitlements for annual holidays and also bereavement leave, alternative holidays, public holidays, and sick leave. However, the problem is much more widespread. Holiday pay errors first discovered in 2014 are still dogging many New Zealand organisations, both government and private, leaving potentially hundreds of thousands of employees out of pocket. In 2016, it was revealed the Ministry of Justice, along with Police; Ministry of Business, Innovation and Employment (MBIE); District Health Boards and a host of others fell foul of the law and potentially shortchanged staff. Today, media company Stuff reported its results including a $3.4 million provision for recalculating staff holiday pay entitlements. In May, Reseller News reported that the Education Payroll needed to invest $26 million more into its failed Novopay software before it could even begin to address Holidays Act issues. This week, the Ministry of Justice took action of its own, going to market for a new system to manage its payroll and ensure compliance with the law. Specifically, the compliance project comprises two workstreams: compliance, including the payroll system replacement, and remediation of past errors. "The remediation workstream can only be fully completed after the compliance workstream is successfully delivered," the tender stated. "The Ministry is using a remediation calculator that is separate from its Business as Usual (BAU) payroll system to address these past errors." The requirements for the new system are complex, with 4500 employees on up to 30 different employment agreements requiring service - up to 34 different allowances are being paid across six business units and 100 locations. There are also collective agreements with two unions covering 1800 staff. "Work patterns include standard (40 hours over four or five days, mix of eight and ten hour days), seven-day cycle rosters and non seven-day cycle rosters," the tender added. Up to 500 employees work on rosters. "The rosters may include shifts that have hours over more than one day and a repeating cycle of any length," tender documents added. Among all that, time recording, leave, and up to 280 different types of deductions including KiwiSaver also have to be managed. To support the delivery of strategic priorities and "people-centred services", Justice is seeking to provide flexibility in the way it structures the business and the working conditions provided to our employees. "The Ministry designs its managerial roles around the principles of coaching and leadership," the tender said. "With this as context, there is a desire to ensure ‘management’ or ‘administration’ tasks are simple, standardised and where possible, automated." However, many of management or administration tasks are paper based or manual, with visibility of the tasks limited. "The support for these tasks, by way of tools and information, can be difficult to find and follow," the tender stated. "Practices across the Ministry are often variable." There are multiple sources of information with limited consolidated reporting to support the Ministry’s HR decisions. Justice's payroll processes are currently managed and run in-house on AMS Leader software, the tender added. "The organisation structure management is managed in OrgPlus by the Human Resources Information System (HRIS) team," documents confirm. 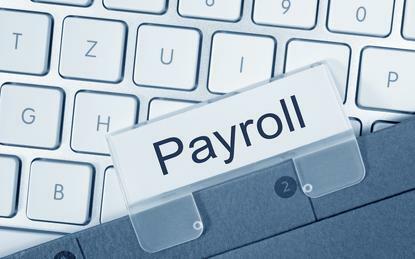 "First level support for the payroll and OrgPlus applications is provided by Ministry payroll/HRIS staff and second level support through contracts with AMS and Navigo." The system hardware is hosted as part of the Revera IaaS platform with the operating system supported by Fujitsu as part of an IT managed services contract, while security is managed by Vodafone security services. "The Ministry’s preference is to receive responses that are led by the software solution provider as the prime vendor," the tender stated. "Where the prime vendor has several implementation alternatives to put forward these may be presented as alternate proposals." The required as-a-service system implementation is expected to involve migration services from the Ministry’s current payroll solution along with several side by side pay runs to ensure implementation success. In May, the persistent compliance issues prompted a full review of the highly complex Holidays Act.